Prime Minister Erna Solberg could finally announce expansion of her Conservatives-led government coalition on Sunday afternoon. She confirmed its new platform with the non-socialist Liberal Party would be greener, and aimed as sustaining Norway’s welfare state. After months of negotiations that accelerated after New Year, the non-socialist Liberals’ leader Trine Skei Grande won a green light from within her own ranks to team up with Solberg’s Conservatives and Siv Jensen’s Progress Party. She told Norwegian Broadcasting (NRK) that the new proposed government platform had been “very well-received” by her party’s central board. Jensen, meanwhile, also won approval from her party’s board to accept the new government platform that’s been hammered out over the past two weeks. “The party’s board has had a good and thorough discussion and we have unanimously decided to join this negotiated agreement,” Jensen told Norwegian Broadcasting (NRK). Jensen was clearly pleased with the deal, details of which may remain sketchy until the revised state budget is put forward. Nor has it been decided how the new government coalition will divvy up ministerial posts, with Grande claiming at a press conference late Sunday afternoon that work hadn’t begun over which ministries her party may gain control, or who will become ministers in the new government. “The principles (behind the bew three-party coalition’s platform) are clear, though,” Grande said. Both she and Jensen, who had to iron out the biggest differences between them, claimed their willingness to cooperate was strong and expected to resolve conflicts. Grande’s biggest accomplishment was securing ongoing protection from oil exploration and production for the waters around scenic Lofoten, Vesterålen and Senja (LoVeSe) on Norway’s northern coast. Both the Conservatives, the Progress Party and the Labour Party in opposition have wanted to open areas off LoVeSe to drilling but the Liberals and Christian Democrats fended that off through their last cooperation agreement with Solberg’s earlier two-party government coalition. Now the Liberals seem to have extended the ban on drilling off Lofoten alone. 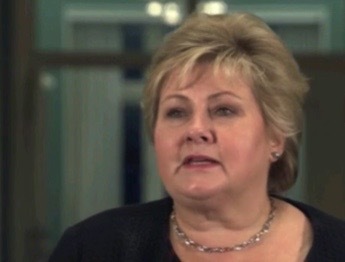 Solberg said the platform aimed to help resolve six key issues: Restructuring the economy for more and greener growth, meeting Norway’s climate obligations under the UN’s Paris agreement, creating a more inclusive labour force, securing good social welfare programs, reducing poverty and boosting integration of immigrants. Both Jensen and Grande admitted to having to swallow some major compromises, but Jensen claimed her party will still be able to insist on “good elder care, restrictive immigration policy, better integration policy, lower property taxes ” and that transport policy will be “as good as it has been in the past four years.” Grande, meanwhile, claimed her party had secured key policy important for them within education, climate and “liberal social” policy. Parental leave, for example, will put more pressure on men to take their share of responsibility at home. While their new coalition will remain a minority government, they expect to win support from the Christian Democrats on many issues that will give them a majority in Parliament, except, perhaps a proposal to expand sales of alcoholic beverages in Norway. 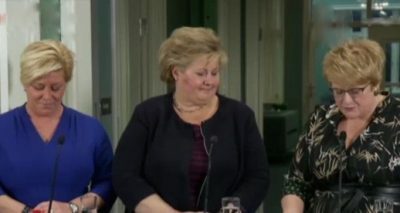 Negotiations on ministerial posts will be hashed out this week, with Solberg due to announce her new ministerial line-up on Friday after the weekly Council of State at the Royal Palace.